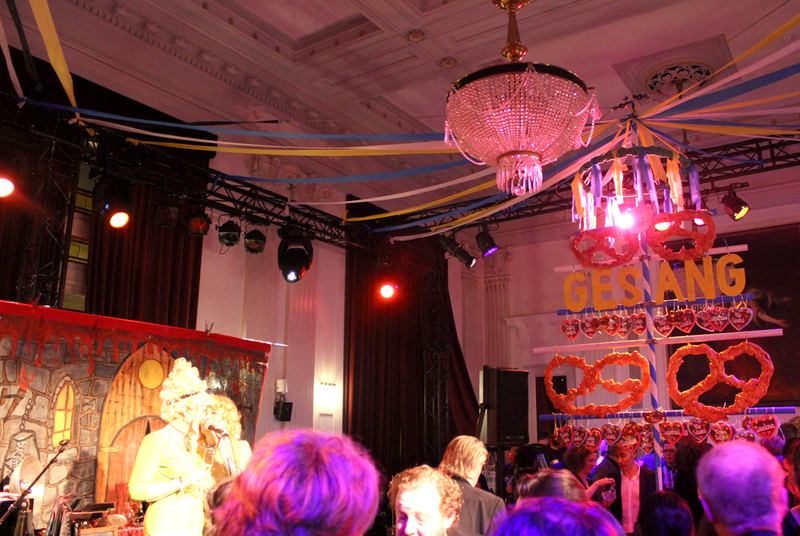 For he Boekenbal 2016 we were also asked to decorate the ‘Koninklijke Foyer’ of the Stadsschouwburg, Amsterdam. 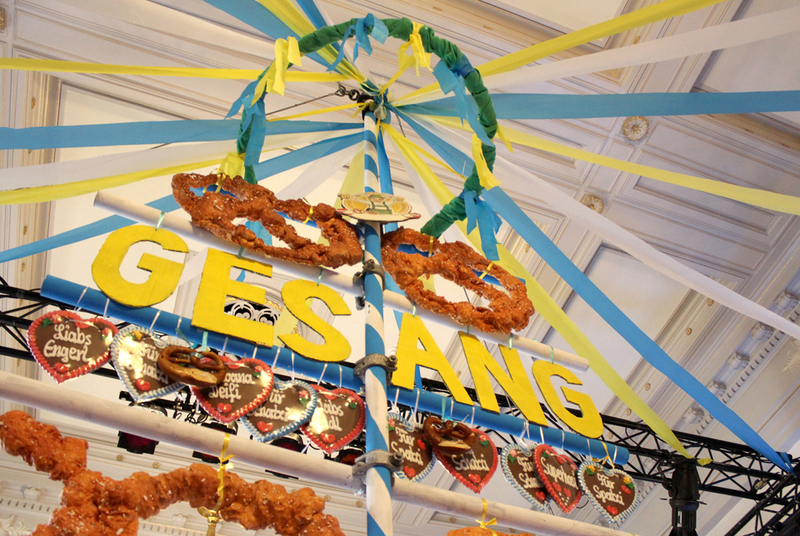 The theme of this area was ‘Beierse Bierhal, referring to the German October fest. 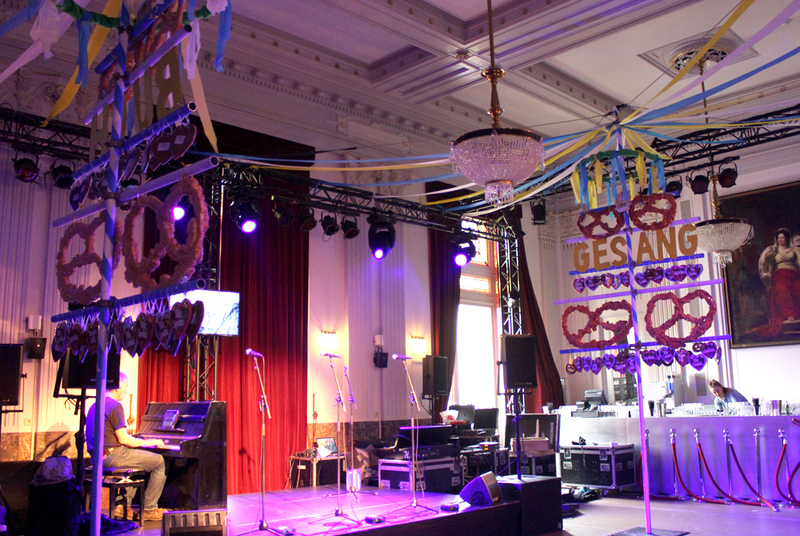 The plan was to decorate this room with the typical German snacks: Pretzels XXL and Lebkuchen Hertzen. All of these were hanging in a 4 meters high, blue/ white painted Germen Maibaum.